How can I create Eldes Cloud services account? Go to cloud.eldes.lt and choose “Register“. When requested, enter your email address, 8 sign length password and press “Register”. Confirmation e-mail has been sent to the address given. Open that e-mail and press on confirmation link to start using Eldes Cloud Services account. Why didn't I receive confirmation letter? Sometimes this letter is recognized as spam and located in Spam or Trash folder. How to add a device to Eldes Cloud services account? then press “Add Device” button. It is necessary to fill-in fields: “Device name“ and “Cloud services ID“. Field “Phone number” is optional. After required data is entered press add and wait 5-10 minutes for adding process to be finished. Where can I get Cloud services ID? System >> Cloud Services >> Cloud Services ID. Press button “Get ID” and it will appear in the field beside. While adding device to Cloud services account the progress stops on “Detecting device”. Why? The device is in place with low GSM signal. Where to find Eldes Cloud services app for Android? 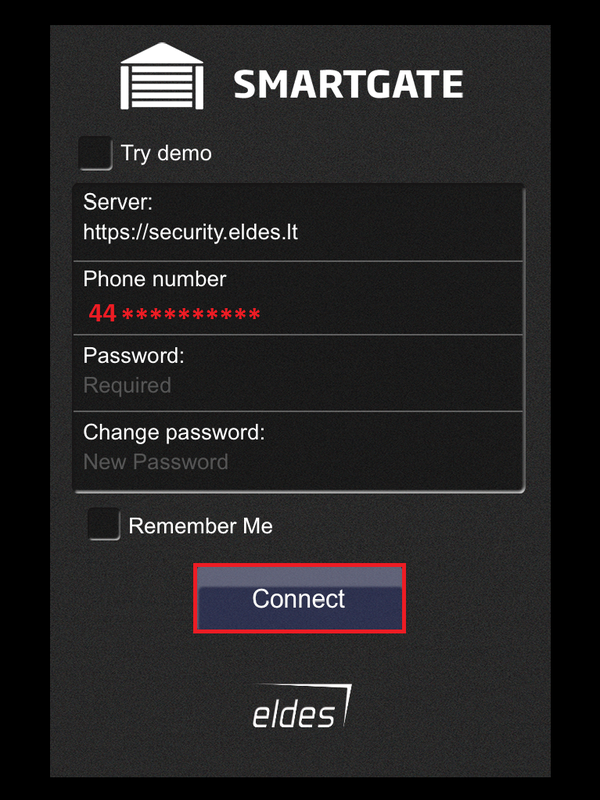 Where to find Eldes Cloud services app for iOS? In Apple App Store. Eldes Smart Gate. 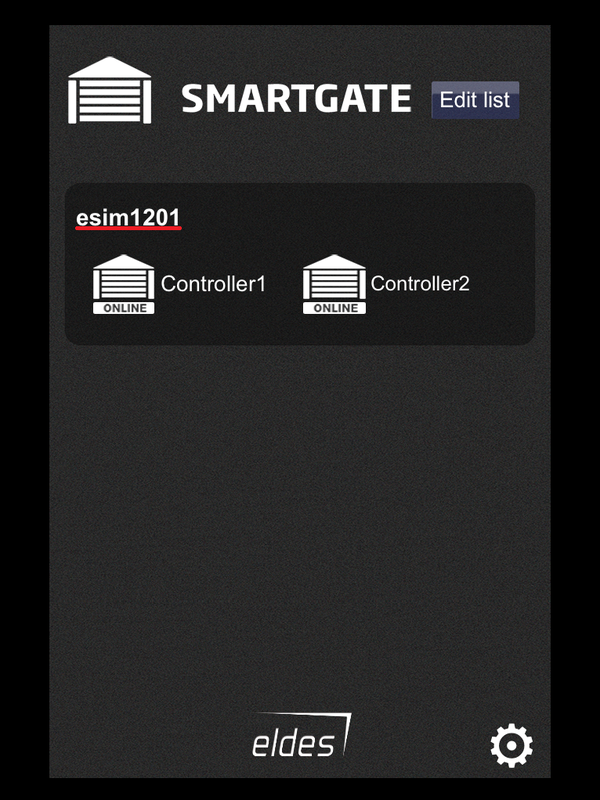 How to install and prepare for use Eldes Smart Gate widget? a) Long press (touch and hold your finger down) on any open spot on one of your Home screen pages. This will bring up a list of options. b) Touch “Widgets” from the list of choices. c) Scroll through your list of installed widgets and select the Eldes Gate Widget. If first field “Server url” is not filled - enter: “https://security.eldes.lt”. 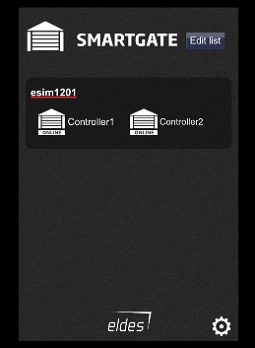 e) After pressing connect, select the device, then gate controller you want to manipulate, rename it and press “Add Widget”. 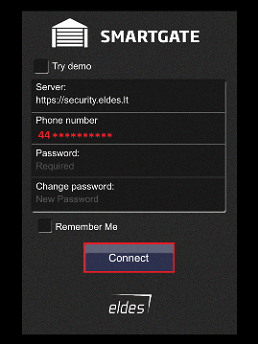 How to install and prepare for use Eldes Smart Gate App on iOS? Download app from App Store. Once app is downloaded and installed, it will appear on home screen. b) After pressing connect, the list will be displayed of devices and gate controllers you can manipulate. What could be that Smart Gate widget does not work? How much mobile data does Cloud services use? Up to 50 MB per month, depending on how often the device configuration is synchronized with server. Why instead of my device in Cloud services web interface I see “Unknown device”? The GSM antenna is not connected or connected improperly. © 2019 JSC Eldes All Rights Reserved.